First lets take a closer look at the Drobo 5D. 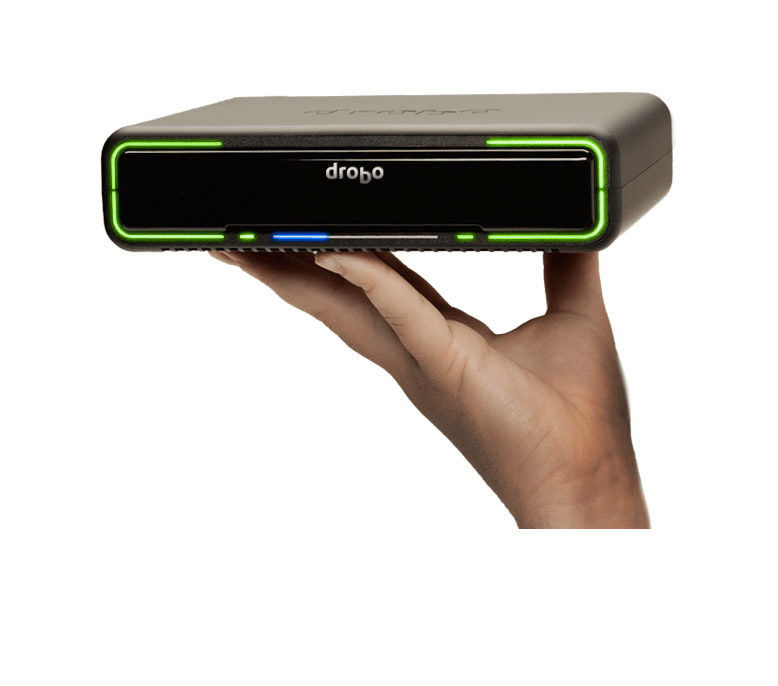 Although it might look like the Drobo S, it is designed from the ground up to make sure the storage requirements of today (and the future) have been met. 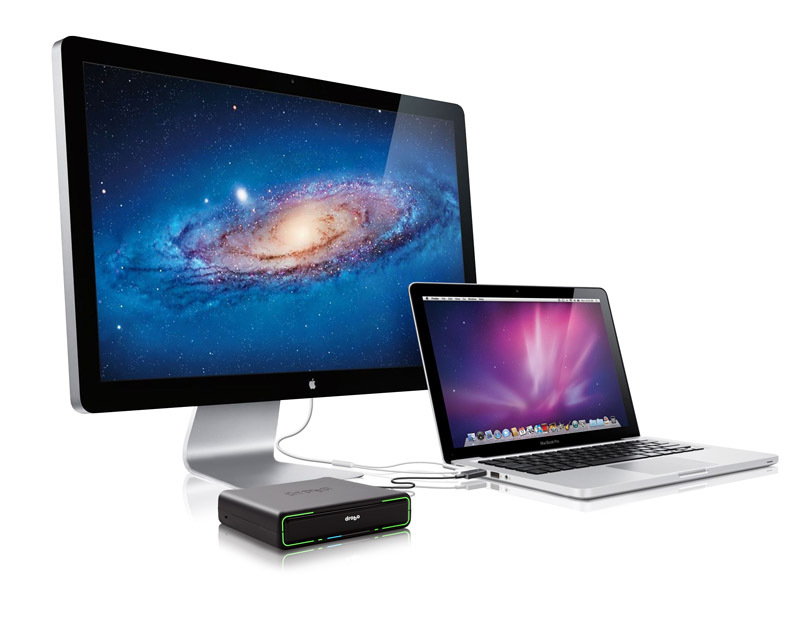 With features like dual thunderbolt ports, a USB 3.0 port and the award-winning BEYONDRAID technology using the Drobo 5D together with Solid State Drives (SSD’s) this beauty is truly a lightingfast storage array. With all the same features as the Drobo 5D this little performance monster (the monster part is truly an compliment ;-)) is just the thing needed for al the people traveling a lot. 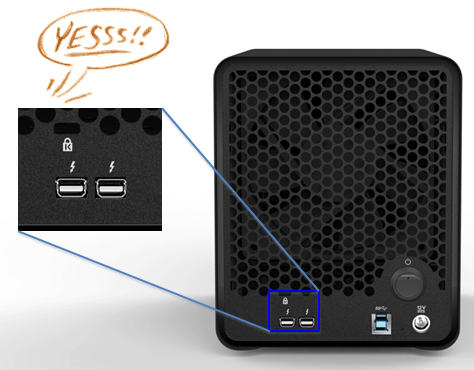 BEYONDRAID, 2 x Thunderbolt, USB 3.0 together with the possibilty to put in one or more SSD’s you’ll have a IO monster in pocketform…. 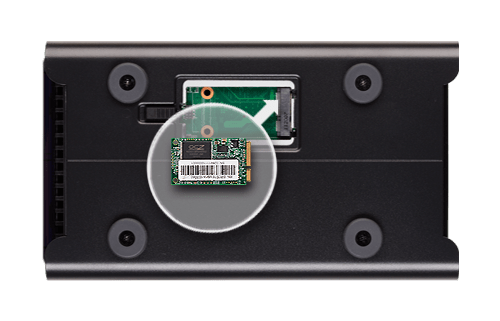 To increase the performance and keep the capacity of these arrays at a maximum Drobo introduced the Drobo Accelerator Bay which accepts an industry standard mSATA SSD. This leaves the drives in the the array available for high capacity HDD’s while maintaning lightning fast capacity.